06 | January | 2014 | Sally Ember, Ed.D. 01/06/2014 by Sally Ember, Ed.D. 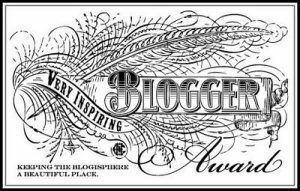 This week marks my 90th Post and my 5-month Blogaversary. I appreciate greatly how authors, artists, writers, editors and many creative people join together to help increase one another’s reach and visibility on FB, LinkedIn, Twitter, Pinterest, Goodreads, Booklikes, Shelfari and increasingly, on Google+. First, many thanks for the support and receptivity: on WordPress, my blog now has 50 followers (MY GOAL for 1/1/14!) and 12 on my Tumblr site (which has all cross-posts from the WP site), for a grand and wonderful total of 62 #FF who receive (and an unknown number who read) my posts. 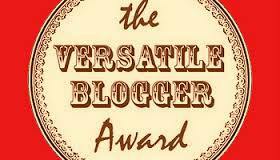 I’m inviting guest bloggers this year. Please let me know when and on what topic(s). Topics on which I welcome guest posts: Buddhism, meditation, yoga, meditation retreats, having a spiritual teacher, the influence of your spiritual practice on your writing; writing, publishing, marketing our writing; or, any of the many topics I have already blogged about (read my past posts for hints!). sallyember.com has gone from being “invisible” (no ranking at all) via ALEXA (Google’s ranking system) to being in the top 3.5 million websites worldwide in only five months. QUESTION: How much does an ALEXA ranking mean, and what is your site ranked? Concurrently, Twitter followers have grown from 7 in August to over 1700 this week (almost reached my randomly set goal of 2000 #FF by 1/1/14). @sallyemberedd finds me there. Special thanks to #ASMSG, the World Literary Cafe @worldlitcafe and Keith Fritz’ Author Megasheet on Google for such great contacts and networking opportunities which help build visibility and connections on Twitter. Due to cross-posting via Facebook, Pinterest and my blog, I don’t always post directly on Twitter, but I do have an active presence there. QUESTION: How much do Twitter followers actually read further/click on Tweets’ links and which ones appeal most to you? Also, my original Spanners Series page on Facebook now has over 450 LIKES (my modest goal for 1/1/14 was 200!) with many “LIKE for LIKE” events hosted on FB and contacts via Facebook groups, such as the Science-Fiction/Romance Brigade, the World Literary Cafe, Clean Indie Reads, Authors Social Media Support and many others, to offer THANKS for this amazing rise in connections on FB in recent weeks (at the beginning of December, my series page had fewer than 200 LIKES). I also have a lot more “friends” (as Sally Sue Fleischmann Ember) via these same networks and groups for writers/authors and science-fiction fans as well as those interested in Buddhism. Question: What impact do FB LIKES have on an author’s visibility, in your opinion? If you are an author and your LIKES have risen lately, how exactly have you experienced a change in sales, interactions, or network invitations that you can attribute to this increase? I am fairly new to having a series page on Google+ (3 weeks), so my Spanners Series page there only has 9 #FF. But, I (as Sally Sue Ember) have joined many groups and hope to increase the number of people in my circles and who follow the series page by connecting and networking more via these opportunities as well. Groups for writers/authors and science-fiction fans as well as those interested in Buddhism are my main ones here, too. QUESTION: How do you use Google+ and what is your opinion of it? On youtube, I now have 3 videos of me reading from or talking about The Spanners Series and particularly Volume I, This Changes Everything (about one/month) since October, 2013, but only a handful of viewers, so far. QUESTION: If you are an author, do you have a book trailer or other writing-related videos on youtube? How successful has your video presence been for driving traffic to your books’ sites, for sales, for views? Again, partly thanks to networking and support via #ASMSG, on Goodreads, This Changes Everything is getting 4- and 5-star reviews and ratings and moving up on many lists on Listopia. As a member of only about 12 months, my “friends” number has grown to over 650. I also joined some groups here as well. QUESTION: How do you use Goodreads as a reader? What about as an author? Since the release date (12/19/13) of This Changes Everything, the first ebook in the The Spanners Series, TCE has been moving erratically but promisingly through the sales rankings on Amazon, Kobo, Nook and Smashwords (don’t have rankings, yet, on iBooks). Many more reviewers are about to post their reviews over the next several weeks, which will help spread the word even more. Examples: on Amazon, TCE has risen into the top 58,000 (out of 8 million) books on Amazon, and my author rank (so far) has risen to 89,000 (out of over 500,000). On Kobo, TCE has moved up over 2000 other books in all Fiction and over 300 other books in Romance, Paranormal (through a mix-up, it’s not in Sci-fi, where it belongs) since it’s release date. On nook, TCE has been in the top 500,000 overall (out of over 2 million books). QUESTION: If you have published and sell ebooks in the last 12 months, what advice would you give to new ebook authors about these types of stats? 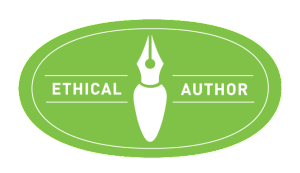 TCE is also on Shelfari, Booklikes and several independent sites (sites that post ebooks, reviews, author interviews and stories about indie books/authors). On http://www.sallyember.com, on the right of each page. Scroll down for live links. QUESTION: What alternative sites feature you or your writing? What are your experiences with these? Do you do “blog hops,” “cover reveals,” cross-posting of other types? Advice? The eleven Boards I have on Pinterest which I add to frequently, relate to my writing, the series, authors and music, locations and information connected to the series and my life. Started with NO followers in September; now have almost 70. sallyember is my Pinterest address (button to this on my website). QUESTION: How do you use Pinterest? Experiences? Through all these and other efforts and, again, much support from friends, family and colleagues/network members, including on LinkedIn, my KLOUT score has risen to over 61 (anything over 50 is considered good; over 65 is considered excellent). QUESTION: What is your KLOUT score? How important do you think this ranking is for a new author? I recently joined some LinkedIn groups for writers/authors and science-fiction fans as well as those interested in Buddhism. Since I’m so new to these (less than 1 month’s membership in most), not sure of the impact, yet. QUESTION: What LinkedIn groups do you belong to/recommend and why? Enough for now. Thanks for reading, responding, explaining, advising, recommending, warning, sharing. Best to you all!